My investing was never the same again after I discovered this. 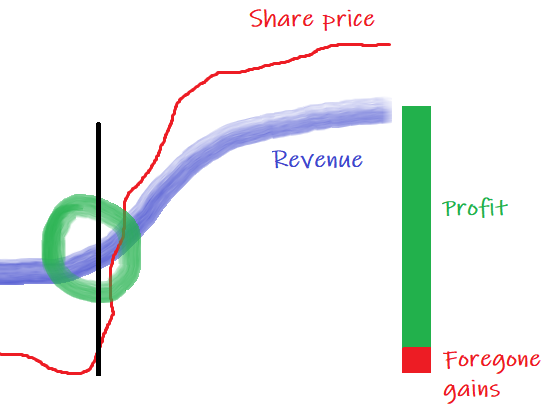 The hidden power of fundamental inflection points radically improved my investing results. All of these have one thing in common, which is a very rapid acceleration in the rate of improvement in fundamental performance. Small-cap and micro-cap companies are often a good place to look for these opportunities. Often nobody else is watching closely. Or more precisely, nobody else that is managing enough funds to move the price. In these ‘under-followed’ cases it is often possible to identify the inflection point simply by following the company’s latest financial reports. 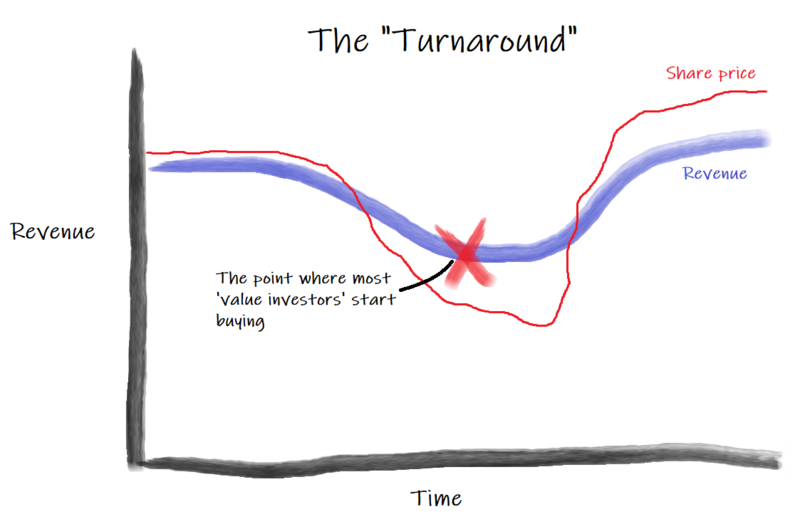 We’ve only scratched the surface of inflection point investing. We talked through just one example, the corporate turnaround. But there are dozens of others. In fact, we didn’t get a chance to talk about my favourite type of inflection point (a hyper-growth company that has just ‘crossed the chasm’). That will have to be the topic of another update! Good article Matt. What is your assessment of Telstra as a turnaround candidate? Share price is at 20 year low and its price chart looks promising (technicals-wise). Could 5G and staff sackings qualify an inflection point/event or you still see it a value trap? Hi Matt, i like the concept but i'm also wondering how well this works in practice. In particular, the inflection point is only observable after the fact. 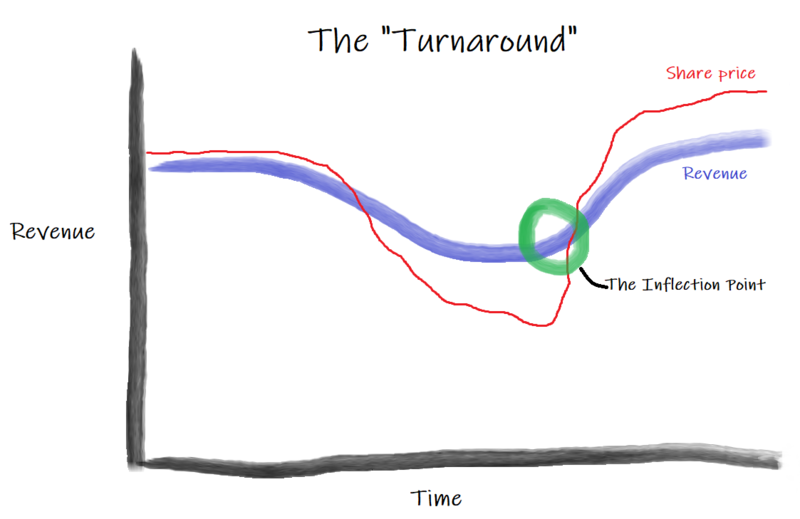 As per all your charts, the inflection point is defined somewhere in the middle of the time axis. I don't see any inflection points at the very right hand side of the chart (which is what you would need to make a real decision based on). Per your earlier comment, "rely on observation instead of forecasting wherever possible", but inflection point investing to me seems very reliant on forecasting. If you want to rely on observing/confirming the inflection point, the price will have already mostly reset by that time, as per your charts. If you arrive 30 mins after the party starts, I don't think you can observe any inflection point yet, you have to forecast it ? Thx Matt. Great article and valuable advise. Smallcaps/Microcaps are a good hunting ground for those prepared to do the work. As a serial early arriver I will be using this approach much more frequently from no on! Mining services seems like the perfect space right now to use this technique.